Want To Buy A Printer? Retail Price vs. Cost Per Page! You start realising the kind of resource hog your printer can be only after you buy a printer and have used it for a while. For many people, the financial demands of running a printer in regular use come as a big shock. However, even then, they fail to realise that the main reason why they have to put up with such debilitating printing overheads is that they made a mistake when they went out to buy a printer. The first thing that most people realise after owning their printers for a while is that printing consumables like cartridges are the biggest drain on their resources. This is almost an epiphany for these people because till now they’ve been viewing their printers like the rest of their computers. They’ve been thinking that since printer is an electronic item, they just need to worry about the initial cost and not the upkeep when they go to buy a printer. If you’re on the verge of buying a printer and have the same thought process, then you need to pause and take a step back to review your preconceptions. When you buy a printer, it won’t be like buying a desktop monitor or laptop. 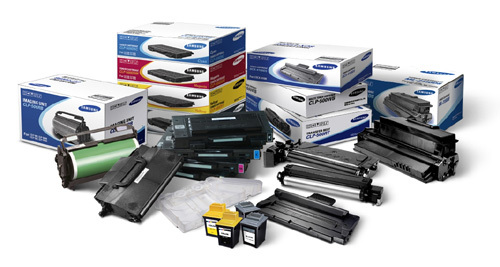 Printers require consumables like paper and most importantly ink. While your laptops and desktops only need internet and power to work, your printers will be paperweights without paper and ink. It’s common for printing consumables to end up costing much more expensive than the printer. So, while you might be congratulating yourself at getting an incredibly cheap printer, you may have actually ended up paying more in the long term. The only way you can get around this problem is by educating yourself on the right way to buy a printer. You need to learn about concepts like cost per page. How is cost per page different from retail price? Do these two concepts influence each other? Should you even consider both of them or just one? If you’ve never had to buy a printer before, then these questions are probably running through your head. Don’t worry, at Inkjet Wholesale, we pride ourselves in spreading printing literacy. Let’s approach these questions one by one. Definitions: Cost per page is the smallest unit of the running cost of the printer you’re considering, while the retail price is the one time outlay. In other words, cost per page will determine how much money you’ll pay regularly to use your printer while retail price will be the amount of money you’ll spend to buy a printer. Most people only focus on the retail price of the printer because cost per page is something that is not clearly mentioned. In fact, you’ll have to calculate the cost per page of the printer you’re considering yourself. You could also choose to contact us, your printing buddies, for advice on the same. Differences: While it may seem that retail price and cost per page are separate concepts, they aren’t. The two are actually inversely proportional. This means that if the retail price is high, then the cost per page will be low and vice versa. So, every time a customer goes for the cheapest printer in the market, he may actually be going for the most expensive printer in the market in the long term. Dilemma: Which element you should consider between cost per page and retail price depends on how much you plan to use your printer. You see, this is where cost per page comes into play. Since you have the cost of one page, the more pages you print, the more you spend. If you aren’t going to print a lot and your printer will remain idle for multiple days, then you’re justified in going for the cheapest option in the market. The reason for this is simply that you won’t need to buy consumables like paper and ink or toner again and again. This is usually the case with home printers, where the use is basic and very intermittent. On the other hand, if your printer will be used excessively, then your consumables will add up in the long term to be greater than what you spent to buy a printer in the first place! This usually happens in offices where multiple printouts, multiple times in a day, by multiple people can lead to multi… numerous refills of paper and ink or toner. So, how do you calculate the cost per page before you buy a printer? Consider the following. Cost per page isn’t all that difficult to calculate, provided you’re willing to do some research, ask some questions, and use a calculator. Here’s a step by step process to help you along. Shortlist the printers you’re interested in. Don’t be shy. Make a table if you have to. After all, you want to buy a printer that is the best in the market. Find out which type of printing toner cartridge or ink cartridge is recommended for each printer you’ve shortlisted. Find out what those printing cartridges are rated for in terms of total number of pages they last for. Most printing cartridges come with these ratings from their manufacturers. 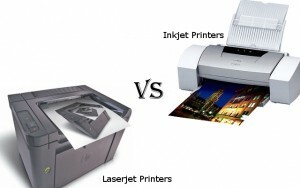 Find out the cost of those printing cartridges. Make sure that you find the best rates in the market, whether offline or online. We invite you to do your research but challenge you to find cheaper printing cartridges than what we offer. Now, you take these prices of each cartridge type and paper and divide them with the respective cartridges’ total page ratings. This gives you the cost per page of each printer with regard to printing cartridges. Find out the cost of a ream of the recommended paper and divide it with the number of papers in the ream. This will give you cost per page of each printer with respect to paper. Add the project costs of printing cartridge and paper to arrive at the running cost of that particular printer. You should try to use these cost per page numbers to figure out how much you’ll be spending per year to use these printers. Project your usage liberally instead of conservatively. Conservative projections may cause you to lose money instead of saving. 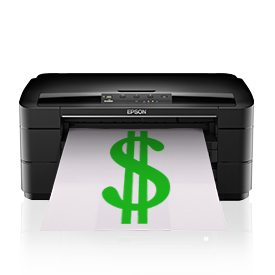 Once you have your projected running costs, you can just compare them to how much you’ll spend to buy a printer. This should show you the best buy. While the above should set you up to find the best possible deal to buy a printer, there’re are some things you need to consider additionally. It isn’t that difficult to incorporate these things in the above process but you’ll have to make some assumptions along the way. Here’s a list of what you need to consider. The ratings of most printing cartridges are based on 5 percent coverage, which is usually the average for black and white document printing. Will you be printing in colour? If yes, then how many colour prints will you be making? Colour printing will increase your costs per page significantly. Some printers use one cartridge for mono printing and one for colour printing, while others have separate cartridges for different colours. You would not want to buy a printer based on a combined cartridge if you plan on printing in black and white. Ink cartridges are initially cheaper than toner cartridges but more expensive in the long run.